Great Green Cleaning - How to check for bed bugs. Today we’re going to talk about everyone’s favorite topic: bed bugs. You may have woken up with an itchy red bump, or maybe you have a friend who’s dealing with them and want to make sure you don’t have bed bugs yourself. If you have to ask yourself “do I have bed bugs”, then it’s probably a good idea to check for bed bugs. In the interest of saving you time and money, here are a few ways you can check for bed bugs without paying for someone to check or hiring a fancy bed bug sniffing dog. Firstly, you can check the most obvious place: the bed. Look under and all around the mattress and frame for any signs of bed bugs. It could be their tiny 1mm white egg casings, little dark spots (bed bug excrement) or the bed bugs themselves. 1/4″ flat, generally brown, oval shaped bugs with ridges on their exoskeleton. Roughly the shape and size of an apple seed. The more recently they’ve fed, the longer their shell will be. Know that they can be white in color if they haven’t fed recently, and if they’re not adults it can be very difficult to spot them. Places to check for bed bugs. You have to be a proper detective and check for signs and clues; the more clues you find, the more evidence you have. Search images online to see if your clues match those of actual bed bugs and go from there. If you suspect bed bugs, you can then set up a simple trap by mixing sugar, water and yeast in a coffee cup placed on an upside down bowl. Detection is vital to catching the infestation before it gets out of hand. Here’s the recipe for the DIY trap / bed bug detector. When you call a pest control or bed bug removal company, the first thing they will tell you to do is to prepare your space. This can be a difficult process and involves sterilizing and sealing your belongings, moving furniture, and a lot more. Your space needs to be prepared properly so the exterminator can do their job with a maximum potential for wiping out the bed bugs, while minimizing the possibility of re-infestation. 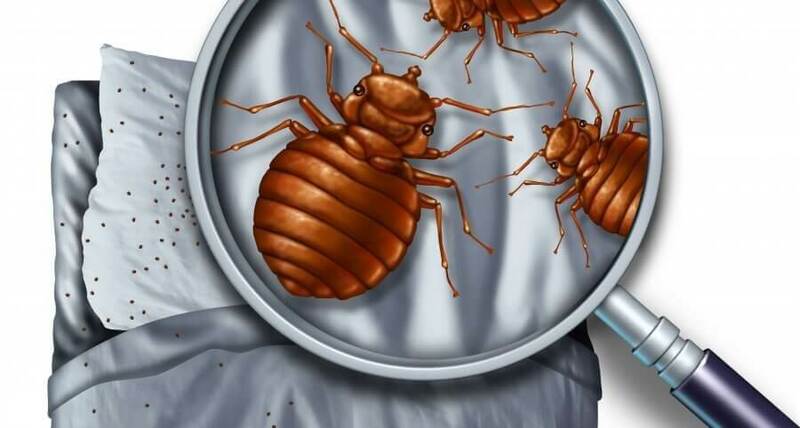 We’ve been in the bed bug preparation business for over 5 years, fine-tuning our process to match the requirements set by professional exterminators, and helping people all over New York rid their homes and businesses of bed bugs. We understand how physically and emotionally exhausting this can be. That’s why we work with you every step of the way, making sure things are done the way you want them, while meeting all required preparations, and even finding you the right exterminator for the job.